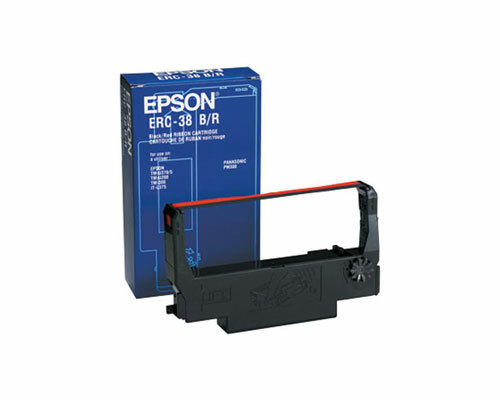 The Epson TM-U220B is capable of operating with multiple colors of ink ribbon, though only one color can be installed at once. You will be able to tell that it is time to change the ink ribbon when the printouts from the current ribbon have become light enough to make it difficult to read or unsatisfactory in appearance. At this point, it is time to replace the ribbon with a brand new one. Be careful when replacing a ribbon right after printing, especially for an extended period of time. 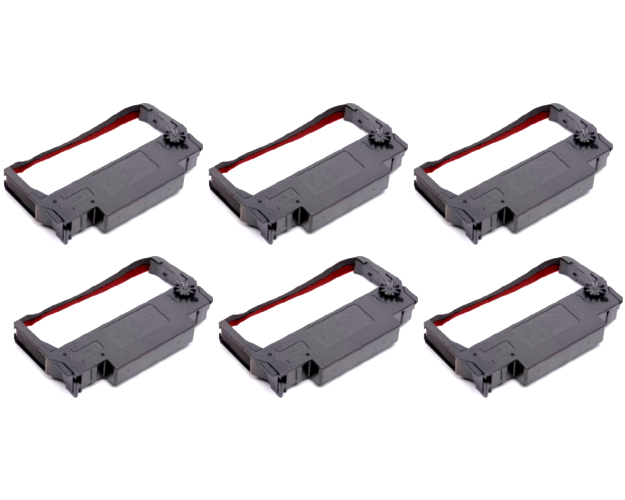 When the Epson TM-U220B prints its print head become very hot and, since it must be handled, users should wait a while for it to cool down before replacing the ribbon. 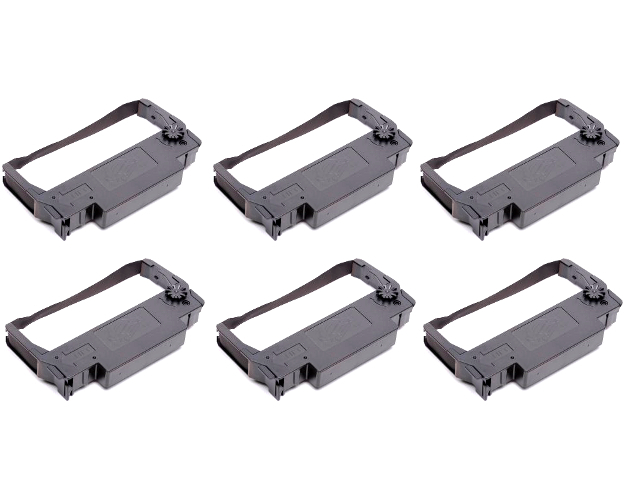 Also note that, unlike some ink ribbons that are designed to have their tensioning knob turned both directions, this printer’s cassette feed knob must only be turned in the direction indicated by the arrow on the cartridge or it could render the ink cartridge useless. 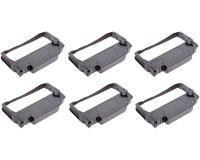 Begin replacement by opening the top of the printer by lifting up on the cover’s tabs. Turn the knob on the ribbon cartridge in the direction of the arrow (clockwise) a few times before bulling it out of the machine, then remove it. 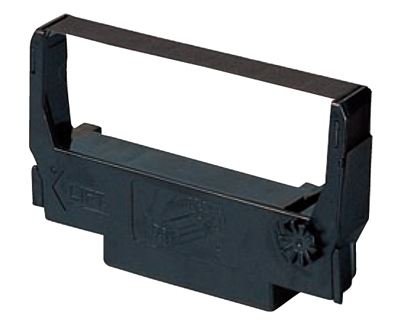 The LEFT side of the cartridge must be lifted first, then the right. Prepare the new ribbon by unpacking it, turning its tightening knob until it is tight, and lowering it down into the printer. It should be positioned the same way that the old one was and will need a good hard press to snap it down into place. The actual ribbon itself should fall between the print head and the platen and if it does not, it can be assisted with the help of a ball point pen or other disposable object. Just be careful not to crease or twist the actual ribbon itself. After the ribbon cartridge is locked in place, turn the tightening knob a few more times and close the cover firmly on top of it. Use a scissors to cut the edge of the paper roll free. Do not tear it as this will make it much harder to feed through the machine. Make sure that the printer is turned on and open the roll cover by hand. The type B print does not have a pickup reel so the old, empty roll will simply have to be pulled out of the machine and discarded. If there is still paper on the roll, be sure to note the orientation of it as it comes off the roll as the paper must feed off the BOTTOM of the roll for the printer to operate properly. Insert the new paper roll in this fashion and pull a small amount of paper from the roll so that it hangs past the paper cutter. Now, when you close the printer, you can tear off this extra paper and have fresh paper. If your printer does have a take up spool, now is the time to feed the roll into the spool and hit the FEED button so that an amount is rolled into the spool. The Epson TM-U220B is a copier and printer all in one with so many amazing features that will leave your work group loving every bit of the printing and copy world. 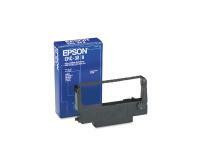 Epson TM-U220B impact printer is packed in, dependable and optimized for high-speed all through. The Epson TM-U220B is one of the Epson TM-U220 series printers and offers all the easy to use features important to the retail, restaurant and hospitality industries and two colors printing to highlight special offers, kitchen orders and impactful logos. With Epson TM-U220B, you have the liberty to explore your printing and copying options with so much quality and efficiency. The Epson TM-U220B features the quality, reliability and advanced printing technology that Epson is famous for. The Epson TM-U220B s is one of the best and most popular to ever hit the printer market out of the Epson TM-U220 series printers. When you buy the Epson TM-U220B, you have not wasted your money however; you will realize that you have added a new unique and productive member to your business that will make it best. The Epson TM-U220B printer is very easy to operate which makes them so adorable. The Epson TM-U220B printer is 30% faster than the TM-U200 series. Epson TM-U220B comes with the drop-in paper loading feature which makes for convenient use. With the Epson TM-U220B, users get two-color black and red receipt and order printing. Epson's TM-U220B printers are the enhanced, more powerful successors. The Epson TM-U220B printer is able to take flexible paper widths. Epson TM-U220B has a wall-mounting option that prints the receipt right side up for easy reading right out of the printer. Epson TM-U220B comes with interfaces like RS232, bi-directional parallel, Connect-It family. The Epson TM-U220B come with an auto cutter so you can choose between a full or partial cut, and an Auto Status Back function that automatically transmits changes in the printer status. Also, the Epson TM-U220B series printers feature the quality, reliability and advanced printing technology that Epson is famous for. 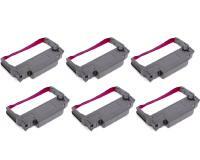 The Epson TM-U220B is safe to use for the environment and you. 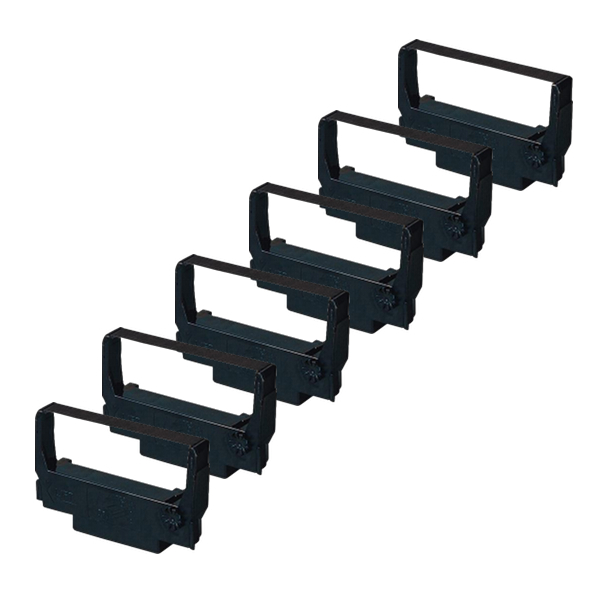 The Epson TM-U220B comes with no networking and also the mounting kit is optional which means extra cost and many people do not like it. The Epson TM-U220B series of printers can be quite difficult to buy especially with features varying at times.